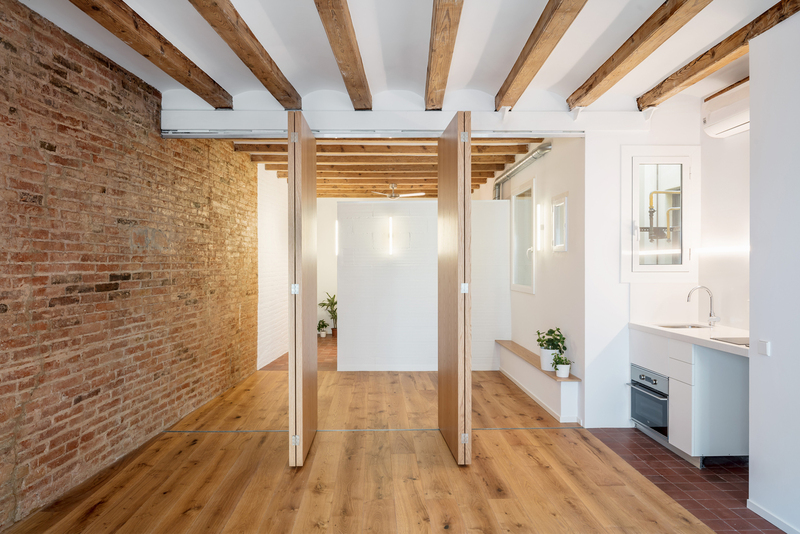 The project presents the renovation of a small apartment in a building of 1916 located in the old town of Barcelona. The two windows of the façade are the only ones able to use for ventilation and natural illumination. 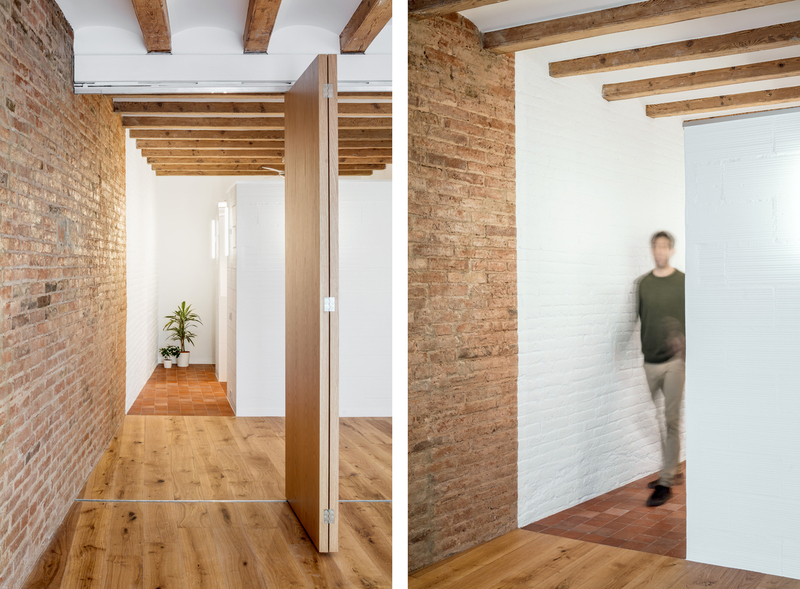 We realized that the structure walls of the building are in the perimeter of the apartment, which enabled us demolish all the interior partitions resulting in a diaphanous space. 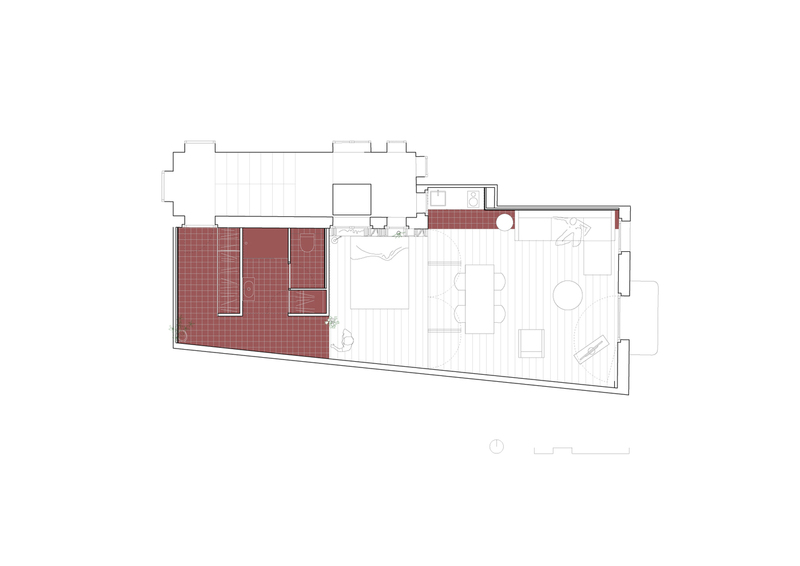 The dwelling is then considered as a loft, we simplified the new distribution to obtain a large and open space being able to enjoy the light and ventilation of the two windows in the facade. 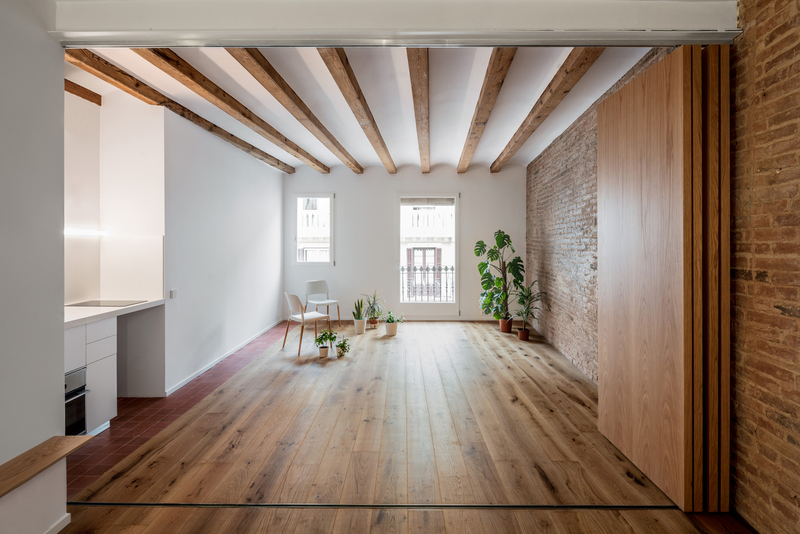 A big wooden wall can be fold creating a flexible limit that alows the user to separate the two main areas of the apartment. Materiality of old and new elements is exposed, the different painting and texture combine to differentiate spaces annd give a warm and industrial atmosphere. 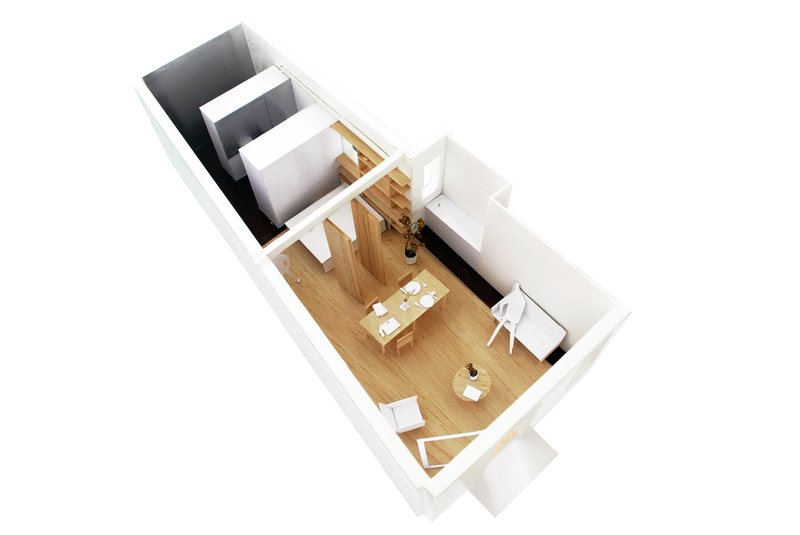 Strategy, accumulate the servant area and storage in the opposite side of the facade to free the rest of the apartment and the living areas can enjoy the outside windows. We took advantage of a recessed wall of the perimeter wall to place the kitchen. 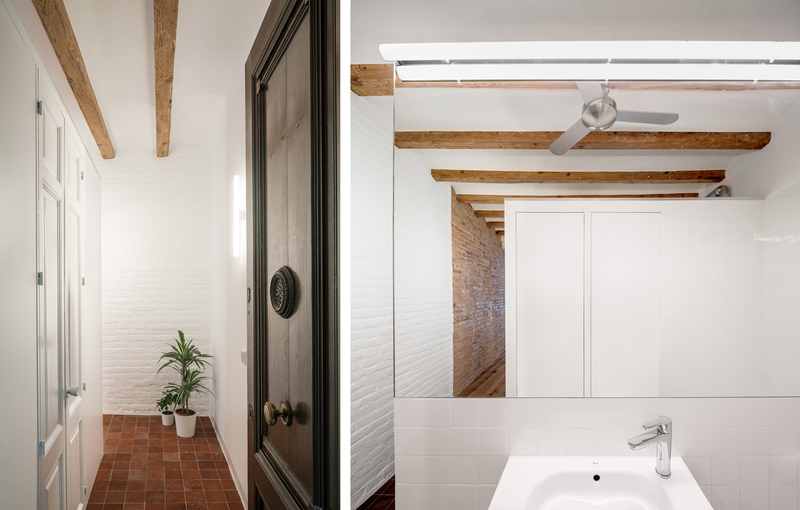 Only the perimeter walls reach the ceiling being able to perceive the whole space from anywhere of the apartment, the wardrobe and WC are the only closed spaces that are placed as boxes transversally to the space offering privacy to the bathroom. 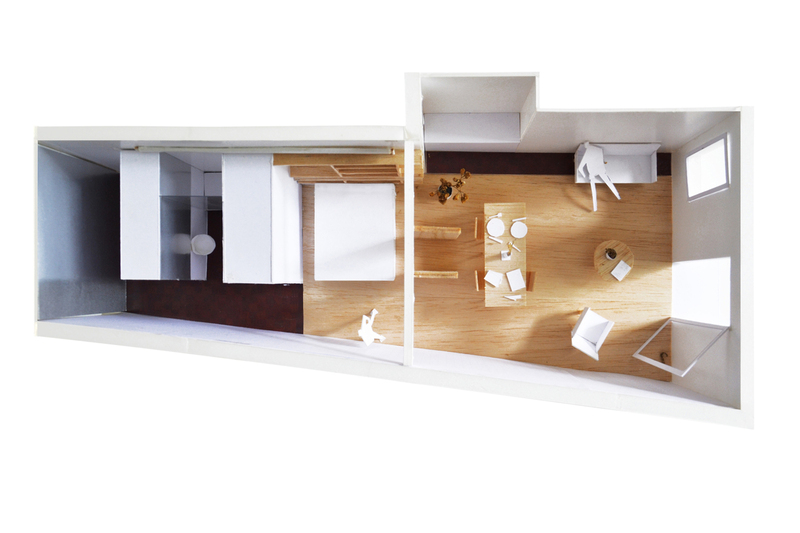 Open boundaries: the apartment is a linear succession of three big spaces connected with a big freedom of relationship: servant area/bedroom/living room. 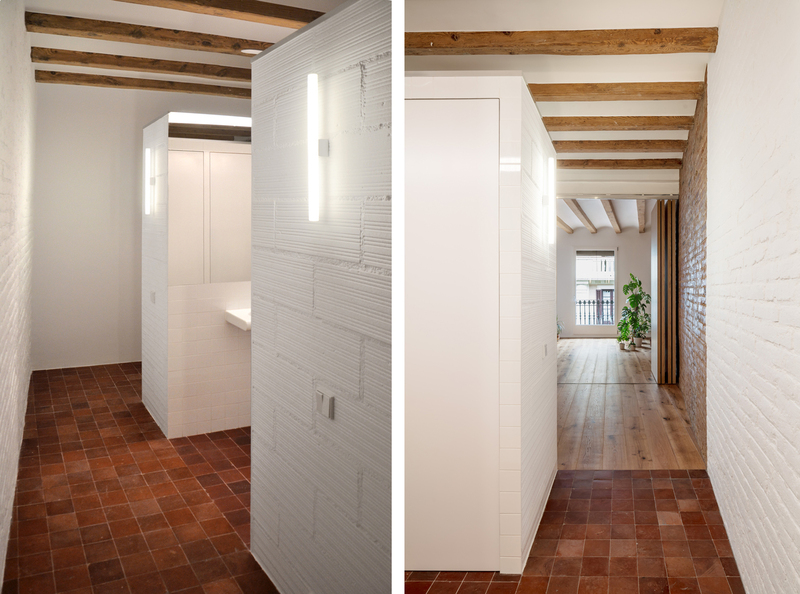 We designed interior boundaries to create different degrees of privacy and use between the spaces. Between the servant area and the bedroom the alignment of the last box matches a sudden change of materials creating a strong limit. Perceptively you can distinguish two different spaces. Between the bedroom and the living room, where the structure beams change direction, we designed a sliding and folding door system creating an intermediate flexible membrane that allows you transform the space. 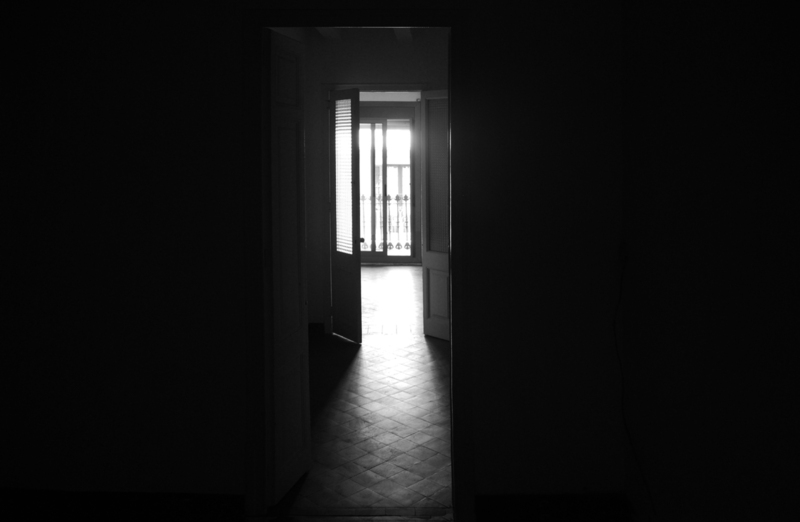 The doors move individually creating a dynamic composition of the limit and countless positions and degrees of relationship.